Today’s Welcome to the Apocalypse post, I continue with my favorite Post Apocalyptic audiobooks of 2011. Today’s focus is on those pesky, cannibalistic undead hordes that just make it so hard for civilization to remain, well, civilized. 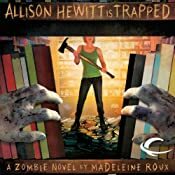 2011 was a boon for Zombie Apocalypse novels, especially with the Audible.com/Permuted Press deal which brought many of their popular zombie novels to audiobook form. Now, a few notes before you get too upset if you find your favorite zombie audiobook left off the list. First off, I am focusing on Zombie Apocalypse novels, as opposed to Zombie outbreak novels. Zombie outbreak novels usually follow a few characters as they attempt to deal with the initial outbreak. Some examples would be Jonathon Maberry’s Dead of Night or Joe McKinney’s Dead City. 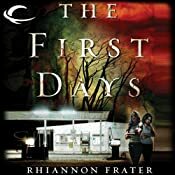 Now, while the event may eventually lead to an apocalyptic breakdown of society, the books do not specifically deal with the aftermath of the breakdown. Secondly, I am ranking these books not solely on their overall quality, but for their place as Post Apocalyptic Fiction. 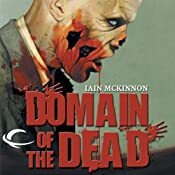 For example, I love Isaac Marion’s Warm Bodies, and it definitely fits within he Post Apocalyptic subgenre, but as an example of Post Apocalyptic fiction I may not rate it as high as some others that focus more on apocalyptic survival and dealing with the zombie hordes. 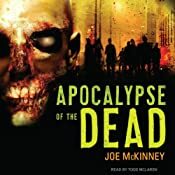 So, without much more rambling, my Ten Favorite Zombie Apocalypse audiobooks of 2011. Quick Thoughts: The Becoming is a fantastic set up for the future installments of the trilogy, a novel that focuses intimately on the Survivors of a zombie plague and yet is full of subtle hints of something more in the nature of the Michaluk Virus and its consequences. 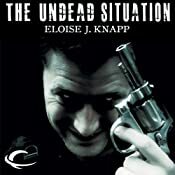 Fans of the Undead will enjoy the well orchestrated Zombie action scenes but for the true connoisseur of zombie fiction it is the speculation of what is to come that is the true joy of this novel. I know it may not be cool to admit anymore, if it ever really was, but I am a big fan of the CBS reality competition show Survivor. One of the aspects of the show I like is that it takes a look at what people will do when all of the niceties of civilized life are stripped away from them. These people are taken away from comfy beds, air-conditioned apartments, and even readily available food. They are exhausted and starving, forced to engage in strenuous activities, and make strategic and social decisions. Let’s just say, these decisions tend not to make much sense to those sitting at home on their fluffy sofas. 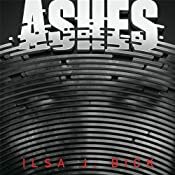 In many ways, my love of post apocalyptic fiction really influenced my enjoyment of this series. Every time I read a review of an apocalyptic book, where some “know-it-all” survivalist wannabe declares a book to be unrealistic because the characters make seemingly idiotic decisions that a true survivalist never would, I just have to shake my head. The truly unrealistic thing is to assume anyone, no matter how well prepared for the coming end of all civilization, will be acting at peak performance. Starvation, depravation and hyper-violence isn’t the optimal situation to develop a thorough thought experiment. I always look at books where the characters just make these wonderful well thought out and reasoned decisions as they are being chased by a ravenous horde of flesh eating undead to be insane wish fulfillment. 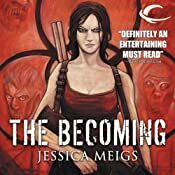 The Becoming is the first chapter in Jessica Meigs zombie apocalypse trilogy and while it is not going to be looked at as a groundbreaking view of a world ravaged by zombies, it does many things extremely well, one of these things being a realistic look at how extreme situations affect Survivors. While Meigs characters overall seem better prepared than most to survive in a zombie apocalypse, they also demonstrate realistic, shocked reactions to what is going on around them. Their reactions and lack of reactions seem much more human then the typical gung ho "lets go kill us some zeds" caricatures that often show up in zombie lit. I also like that Meigs takes us form the initial breakout to the start of the zombie apocalypse. 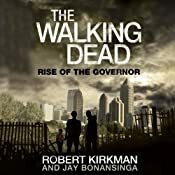 It shows the characters transitional responses from the early rumors of rioting, to being forced to deal with the fact that their loved one have risen and are trying to eat them, to eventually determining ways to survive in a changed world. I enjoyed the premise set up by Meigs, that a virus called the Michaluk Virus escapes from the CDC starting the outbreak in Atlanta. Her zombies are not something that we haven’t read of seen before, but there is this undercurrent of potential permeating through the book. You feel Meigs leading you towards an unexpected path, and while you just can’t put your finger on what it exactly is, you can’t help but feel excitement for the upcoming trip. The Becoming is a fantastic set up for the future installments of the trilogy, a novel that focuses intimately on the Survivors of a zombie plague and yet is full of subtle hints of something more in the nature of the Michaluk Virus and its consequences. 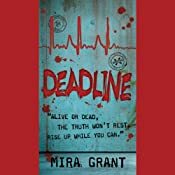 Fans of the Undead will enjoy the well orchestrated Zombie action scenes but for the true connoisseur of zombie fiction it is the speculation of what is to come that is the true joy of this novel. Christian Rummel performance of The Becoming is simply spot on. I love the way he handles the character of Cade. I cannot say his accents was truly authentic for a women who lived in Israel and serves as a IDF sniper but now resides in the American South, but it felt authentic to my untrained ear. 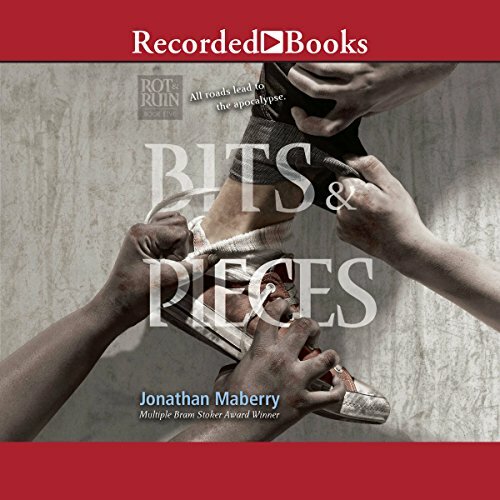 Every time I listen to an audiobook narrated by Rummel I am reminded that he is one of the few male narrators who excels at voicing female characters. Rummel leads the listener through this fast paced tale with the gifts of a true storyteller. The action here is fast, but Rummel never rushes the listener through it, instead describing the action with a measured pace that allows the listener to get good visual images of just what is happening. The Becoming is a great start to this trilogy, and the author and narrator both left me wanting more. 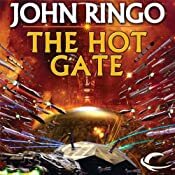 Quick Thoughts: Despite some issues, The Hot Gate is an entertaining novel that most fans of John Ringo will love. I am a fan of John Ringo. I stated that at the beginning of my review of Citadel and I will reiterate it at the beginning of my review of The Hot Gate, the third book in the Troy Rising Military Science Fiction series. In fact, I hold John Ringo mainly responsible for introducing me to military sci-fi. 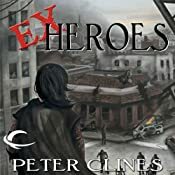 His Posleen War series was probably the first major military sci-fi series I have read, and I enjoyed it so much that I began searching out more and more similar types of books. That is one of the things I enjoy about reading, sometimes you take a chance on something different, or maybe pick up something that has elements you like, but elements you have never really tried before, and it opens the door to so many new authors and works. I originally read A Hymn Before Dying mostly because it had some Post Apocalyptic elements and it was recommended on some PA boards. At that point the majority of my science fiction readings were within that subgenre, now, my sci-fi base has greatly expanded. I have John Ringo partly to thank for that. I enjoyed The Hot Gate. I say that with some reservation. The majority of the book was from the POV of Engineer’s Mate Dana “Comet” Parker. Parker is truly a great character. She’s well grounded, principled and utterly likeable. The first two-thirds of the book, for the most part, dealt with the culture clash between her, and Latin American members of the Alliance. Parker is sent to the battle Station Thermopylae where the majority of the personnel are from South American countries. 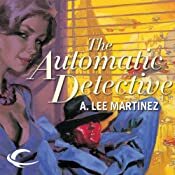 While I enjoyed the interplay and cultural differences, at some points I felt uncomfortable with caricatures of the South Americans in the story. Ringo may be dead on with how they behave especially the upper class of the Argentinean society, but, not being knowledgeable about that subject it felt a bit, well, politically incorrect. Yet, as a fan of Ringo, you come to expect him to never let political correctness get in the way of a good story. The last third of the book mainly dealt with the battle between the Alliance forces and the Alien baddies determined to control the Terra System and Alliance space. Unlike most of Ringo’s battle scenes I found this one a bit cluttered and hard to follow. There were some fun moments, and some tragic moments, but it was hard to keep the overall battle straight in my head. My biggest problem with the novel came from my expectations. From the beginning the Troy Rising series was advertised as a book in three parts, and I expected this third book to tie all the lose ends together and gives us the big finale. Yet, I only discovered after reading it, that Ringo has decided to expand the series beyond the trilogy, and The Hot Gate felt more like a segue book than a finale. Mark Boyett handles the narration and does a fine job. He’s a solid narrator and does an excellent job with some characterizations. That being said, I think some of my confusion in listening to the battle scenes is that his alien voices don’t really come off all that alien, and I tended to have a hard time remembering which individual character was an alien baddie, and which was a human good guy. Other than that small issue, the audiobook production was pretty solid. Being that the book was told mostly from a female POV, it was a good thing that Boyett handles female voices pretty well. While I had my issues with The Hot Gate, it was still an entertaining novel that most fans of John Ringo are sure to love.